NATO Secretary General Anders Fogh Rasmussen stated that “This is a fundamental principle that each and every nation has an inherent right to decide itself, on its security policies and its alliance affiliations.” He reiterated that NATO would indeed be willing to consider Ukrainian membership. A push for Ukrainian membership is not a new concept, of course. As far back as 2008, the idea that Ukraine would eventually become a NATO member was floated during the Bucharest Summit. This new push, however, is clearly an attempt to provoke Russia and back Putin into a corner politically and militarily. This, of course, has been the plan of the NATO leadership for some time as well as the doctrine of Zbigniew Brzezinski and the will of the world oligarchy. Russia, however, has not sat idly by while NATO has attempted to push itself up to Russia’s doorstep. On August 31, 2014, Russian President Vladimir Putin stated that it was time to consider the options surrounding the Eastern portion of Ukraine. In an interview with Russian state television, Putin stated “We need to immediately begin substantive talks on questions of the political organization of society and statehood for southeastern Ukraine with the goal of protecting the lawful interests of the people who live there." Although the meaning behind Putin’s statement is somewhat murky, the Western propaganda mouthpiece,The Huffington Post, reported that the Russian position is not supportive of sovereignty for the Eastern separatist region of Ukraine. Of course, this stands in the face of the fact that Russia has repeatedly made calls (at least publicly) for dialogue between Eastern and Western Ukraine and has also publicly expressed a desire for a decentralization of power and a sensible form of government resembling that of a confederacy. It should be noted, however, that the Interpreter itself points out that “the word Putin used in Russian is "gosudarstvennost," which means literally "statehood" but can also mean "state system" or "state organization," i.e. form of government,” making Putin’s statement sound much less apocalyptic. This is a technical detail that most Western media outlets are leaving out. Nevertheless, Ukrainian President Petro Poroshenko has also publicly expressed interest in the idea as have the Eastern Separatists. However, the separatists have demanded that Kiev halt its military offensive while talks take place, a condition that Poroshenko and Kiev have consistently refused to meet. While Putin’s statements are still unclear in terms of the specifics, Western media outlets will waste no time in portraying them as an attempt to annex Eastern Ukraine in the same way that Crimea was annexed previously. While this may well be Russia’s goal, it could be that Russia is merely attempting to end the violence at its doorstep or to create an independent neutral state at its border so as to provide a buffer from NATO forces now openly creeping towards Moscow. Regardless, it should never be forgotten that whatever Russia’s action in Ukraine, it is entirely defensive in nature. After all, it was the Western NATO powers that created the Ukrainian crisis to begin with. When one analyzes the perspective of the NATO powers, what is clear is that the Brzezinski doctrine as espoused in The Grand Chessboard is very much alive and well and, indeed, being implemented in Ukraine. Admittedly, America cannot on its own generate a more united Europe – that is up to the Europeans, especially the French and the Germans – but America can obstruct the emergence of a more united Europe. And that could prove calamitous for stability in Eurasia and thus also for America’s own interests. Indeed, unless Europe becomes more united, it is likely to become more disunited again. Accordingly, as stated earlier, it is vital that America work closely with both France and Germany and seeking a Europe that is politically viable, a Europe that remains linked to the United States, and a Europe that widens the scope of the cooperative democratic international system. It is also crucial that, as Central Europe enters NATO, any new security assurances to Russia regarding the region be truly reciprocal and thus mutually reassuring. Restrictions on the deployment of NATO troops and nuclear weapons on the soil of new members can be an important factor in allaying legitimate Russian concerns, but these should be matched by symmetrical Russian assurances regarding the demilitarization of the potentially strategically menacing salient of Kaliningrad and by limits on major troop deployments near the borders of the prospective new members of NATO and the EU. While all of Russia’s newly independent western neighbors are anxious to have a stable and cooperative relationship with Russia, the fact is that they continue to fear it for historically understandable reasons. Hence, the emergence of an equitable NATO/EU accommodation with Russia would be welcomed by all Europeans as a signal that Russia is finally making the much-desired postimperial choice in favor of Europe. A clear choice by Russia in favor of the European option over the imperial one will be more likely if America successfully pursues the second imperative strand of its strategy toward Russia: namely, reinforcing the prevailing geopolitical pluralism in the post-Soviet space. Such reinforcement will serve to discourage any imperial temptations. A postimperial and Europe-oriented Russia should actually view American efforts to that end as helpful in consolidating regional stability and in reducing the possibility of conflicts along its new, potentially unstable southern frontiers. But the policy of consolidating geopolitical pluralism should not be conditioned on the existence of a good relationship with Russia. Rather, it is also important insurance in case such a good relationship fails to truly develop, as it creates impediments to the reemergence of any truly threatening Russian imperial policy. 1.) The United States and its allies must immediately cease supporting hostilities against the Eastern regions of Ukraine. The U.S. must tell its stooges in Kiev to immediately halt the military offensive in the East and begin talks with separatist leaders. 2.) The United States should take the lead in opposing Ukrainian membership in the NATO alliance. 3.) Ukraine should remain intact as a nation, but, due to the vast cultural differences and the level of mistrust resulting from the civil war and indiscriminate killings of civilians in East Ukraine by Western Ukrainian forces, Ukraine should be reincorporated as a type of two-state confederacy on the model of Switzerland. A sensible border would be the Dnieper River with Kiev, which sits on the river, remaining the capital of the country. 4.) Immediate declaration of neutrality by Ukraine. 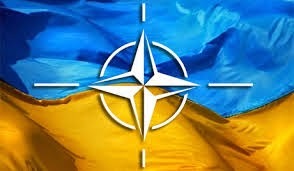 While Ukraine should not become a member of NATO, nor should it become absorbed by the Russian machine. Ukraine would thus provide a natural barrier and neighbor of good faith between NATO, the EU, and Russia. Rivalry between the three surrounding powers should only take the form of competition for improved international relations, trade, and development. 5.) An end to IMF Austerity conditions. 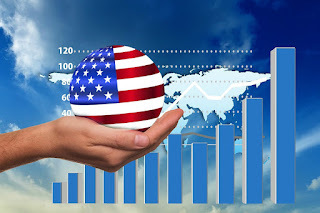 An American, European, Russian and/or an international effort to assist Ukraine in domestic rebuilding and development programs that work in tandem with a sophisticated domestic recovery program involving a nationalized Ukrainian central bank, 0% interest credit from that central bank for infrastructure, development, industrial development, and education. Instead of improved international relations, however, the world oligarchy is intent on inciting greater confrontation between forces inside Ukraine and, of course, between NATO and Russia. Instead of international development, increased living standards, a cleaner environment, and a peaceful and robust economy, the world oligarchy intends to provide de-industrialization, lower living standards, pollution, war and austerity. Americans and the rest of the world are faced with a choice. They can succumb to propaganda, remain vapid and apathetic or they can engage reality and become active participants in the affairs of the world. The results of these choices should be clear to anyone who considers what is at stake.